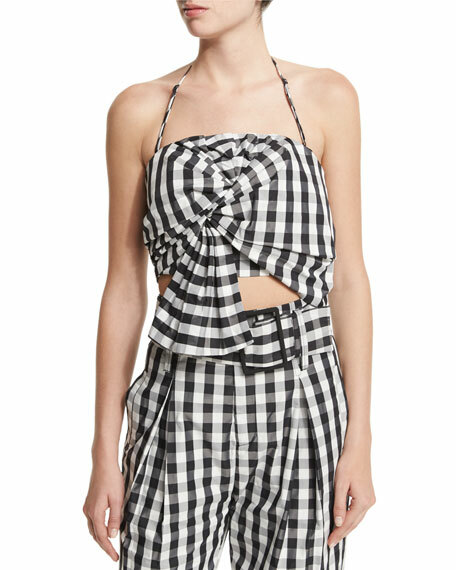 Kendall + Kylie top in gingham print. Fitted silhouette; knot detail at front. 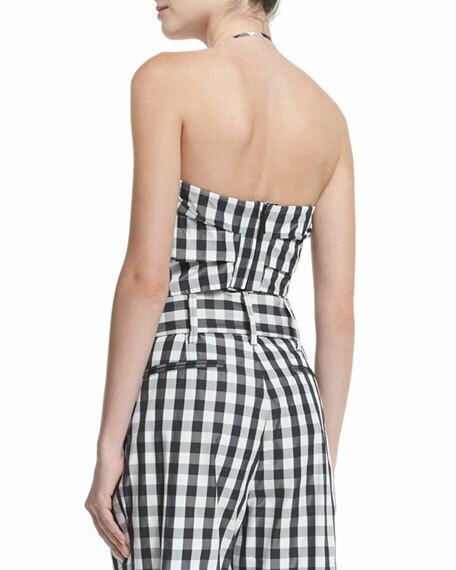 Model's measurements: Height 5'9.5"/176cm, bust 32"/81cm, waist 23"/58cm, hips 33.5"/85cm, dress size US 0/2. For in-store inquiries, use sku #1744389.